We're introducing the ceramic coffee roaster. This very traditional tool, once used for roasting tea leaves, sesame seeds, etc in Japan. It also roasts coffee beans to perfection. This classic, everyday tool was more common among older generations, but we are rediscovering and redesigning its functionality with a minimalist, wabi­sabi beauty. We are excited to introduce it to all the world. Roasting may take 5 to 10 minutes, depending which type of roast you’d like. You can see the process in 3 minutes. 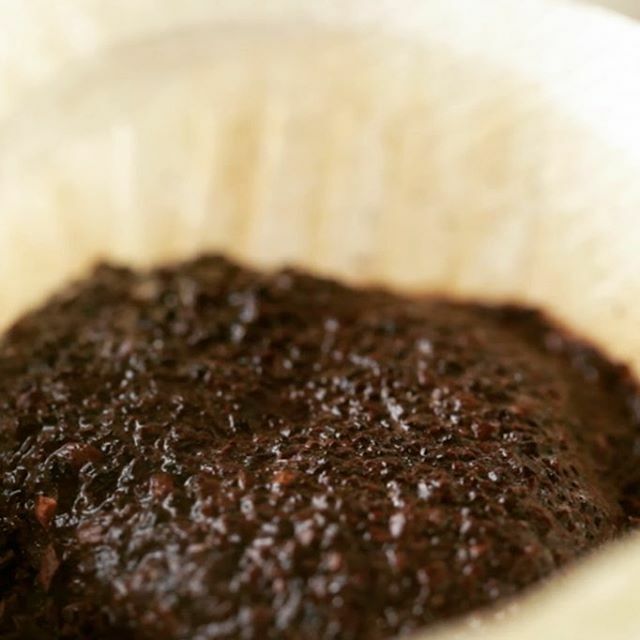 3 hours after grinding, and 3 minutes after brewing. the continual problem for commercial coffee roasters. 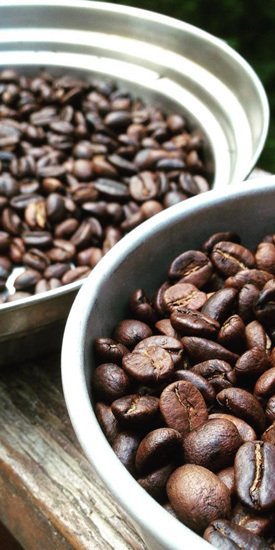 Why not try roasting your own coffee? Learn your way, find your way. There is many coffee roasters, and everyone have their own preference. 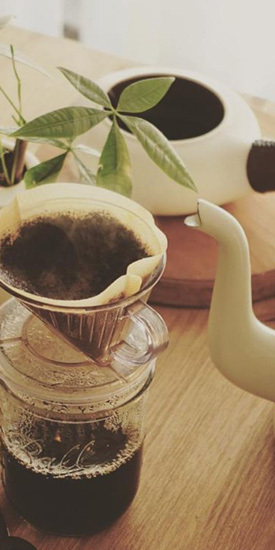 To find your own way of roasting can be a new way to enjoy your coffee. Without a huge machine, without computers, and without electricity. 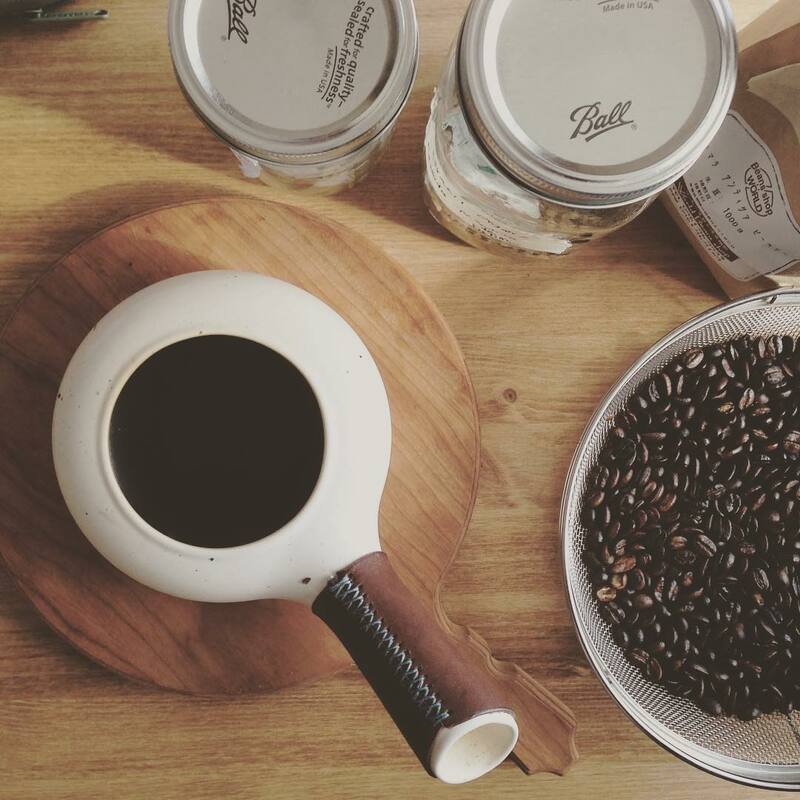 You can roast your favorite coffee with this simple tool. 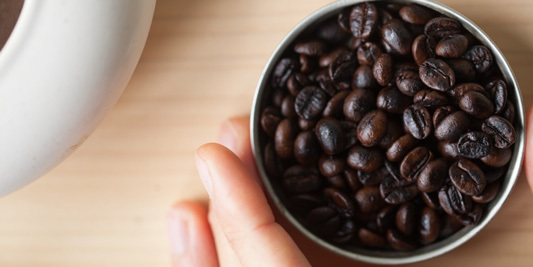 Just get some green coffee beans, and you can make a cup of coffee. The shape is very simple. It has a gently rounded form, with a hollow handle. The hollow handle allows you to blow the chaff off during roasting, and to pour the beans out when you finish. Our super heat‐resistant ceramics passed a verification test that heats the ceramic up to 1472ºF and then sink it into the water. 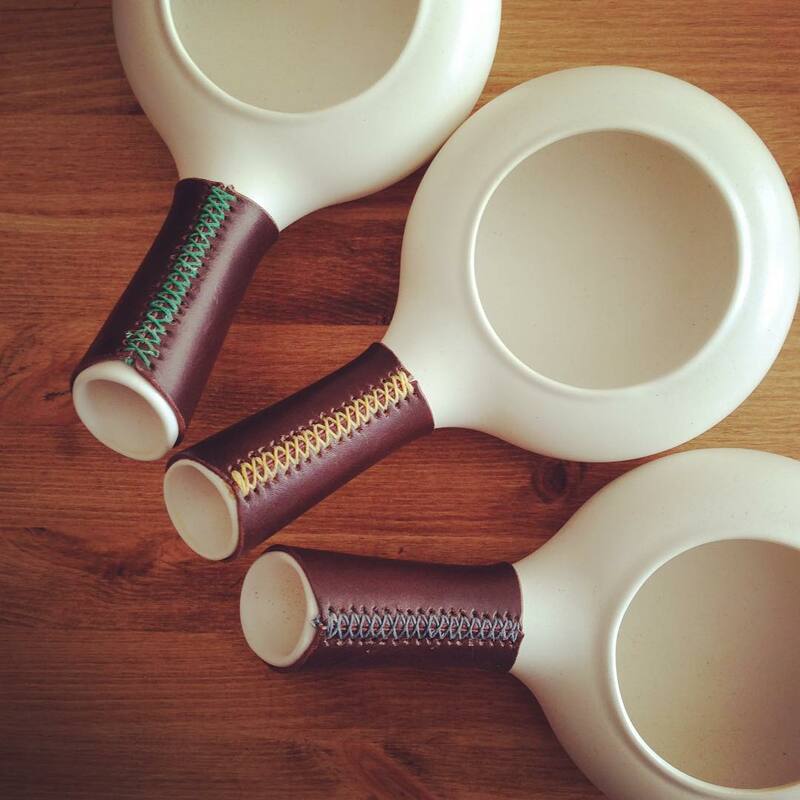 It is hand crafted in an traditional kilns in Japan. You can use it on the open flame of a gas stove or campfire, or on an electric stove. 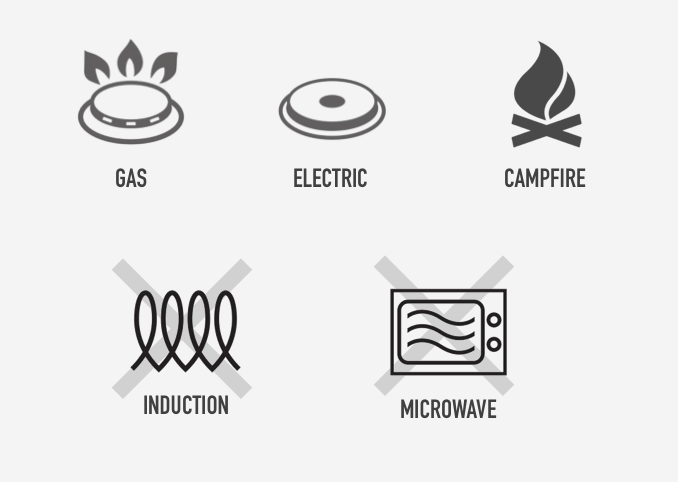 However, you can NOT use on an induction stove or in a microwaves. The handle does become hot whilst you roast. To cover the handle and protect your hands, we chose a heavy leather. The leather has a beautiful grain, and a smooth feel in the hand. This brings a natural touch to the simple beauty of the ceramic roaster. You can choose the colour of the thread from: Blue, Mustard, Red, Green, Brown. It is such an amazing feeling knowing that I will always have freshly roasted coffee everyday. I never have to worry about my coffee beans going stale! It is seriously life-changing. Meet Zenroast, an admirably simple and very traditional Japanese coffee roaster for prepping beans without machines or even electricity. You will see a shipping charge before you finalize your order. If you have any further questions or concerns, visit our Q&A community and feel free to contact us. Copyright © 2018 Zenroast team, All rights reserved.